Update: Out (1) Succumb to Temptation in (1) Suppression Bonds . I would switch out Succumb to Temptation for Sign in Blood. 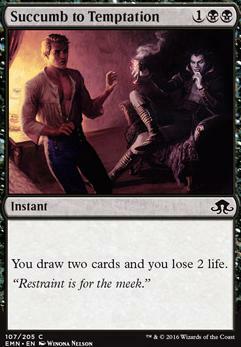 You're losing the instant speed, but it's 1 mana cheaper, and you can always use it as a 2-life burn spell in a pinch. I would also swap Cancel for Mana Leak. It hits 95% of what Cancel hits and doesn't require UU. Bitter Revelation for Succumb to TemptationBoth are Sorcery Speed, draw 2 cards for 2 life, but Bitter Revelation fills up your graveyard. Forbidden Alchemy for Strategic PlanningIt has the benefits of instant speed, digging/discarding one card more and has flashback. Also, I very much enjoyed reading your articles on pdhhomebase! You guys do a great job! 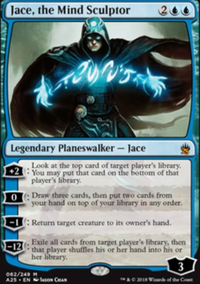 If I may be so bold to express a wish; Personally I would love to know you perspective on an Izzet deck, preferrably with with similar puzzling trickiness like the Tog - maybe Gelectrode or one of the Guildmages... Do you think that might be a possible deck tech for your website? 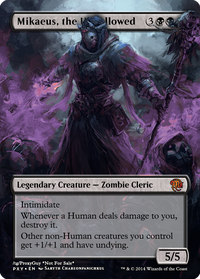 If I may be so bold to express a wish; Personally I would love to know you perspective on an Izzet deck, preferrably with with similar puzzling trickiness like the Tog - maybe Gelectrode or one of the Guildmages... Do you think that might be a possible deck tech for the your website? Unlife on "I looked, and behold, an ashen horse;"
rothgar13 adding in draw spells is definetly something Ivr considered, but Im torn between Sign in Blood and Succumb to Temptation. I probably will bump the manabase up a bit but Ive been playtesting a proxied up version and very rarely do I have issues with manascrew, usually Im mana flooded actually. APPLE01DOJ Prowler is gone, it never does enough for the deck. 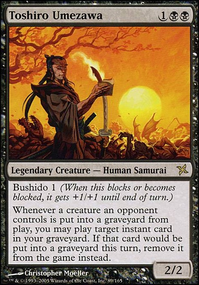 Im hesitant to cut the Relentless Dead simple because of how many different ways it interacts with other parts of my deck; and how it adds onto my devotion. 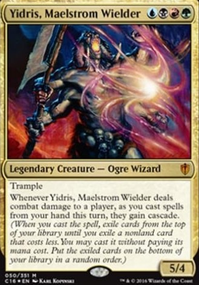 In your decklist, how successful has Miren, the Moaning Well been?